American warfare 1690-1815 in popular culture, art, in miniature and in wargames, through Living History and in movies. Something to compare with the below documentary is this film made in the early 60s. This BBC documentary 'Battle for North America' presented by Dan Snow is available to watch here.Thanks to the gent who sent me the link. 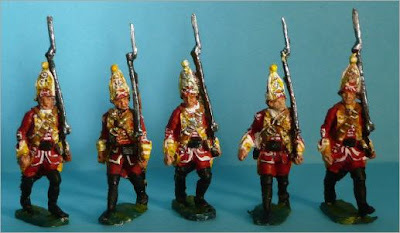 If you do 1/72 scale then this German manufacturer of metal figures might be of interest to you. 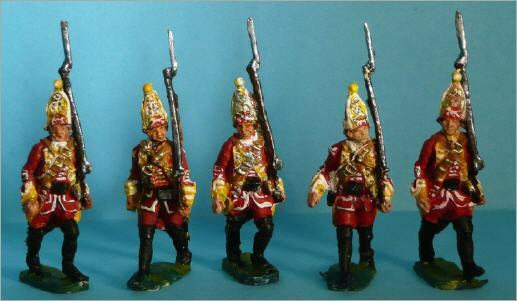 French infantry, Austrians and Prussians as well as these new figures British Grenadiers are part of their products. Nice little slideshow of this provincial unit. Brown Bess Flintlock Musket. A National Firearms Museum Treasure Gun. This one is View of troops assembling at Fort Bedford during the Spring of 1758. 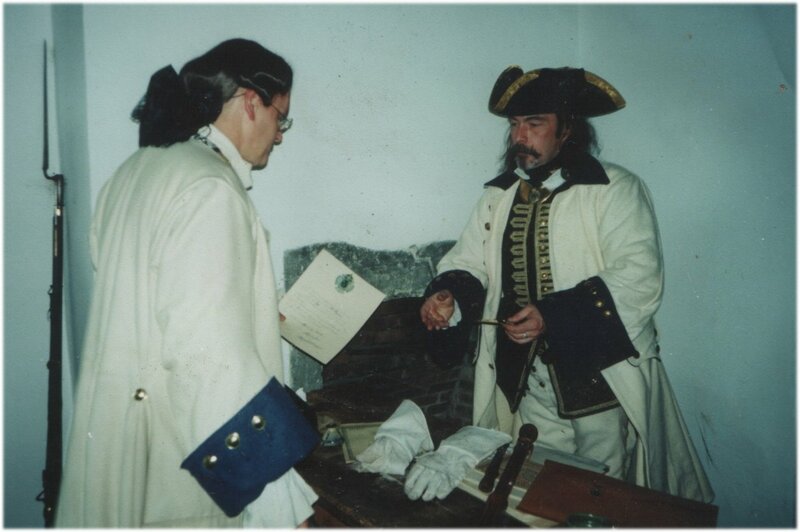 Thought I'd post this pic of me from about 11 years ago receiving my commission in the French Marines at Carillon - I'm the fellow on the left. It was my only (so far) trip to the States but it was great. 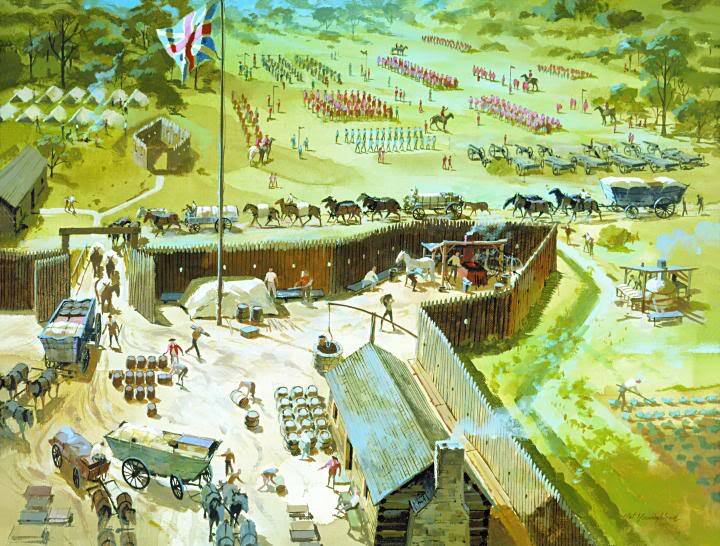 I stopped off at Fort de la Buse in the Ohio territory (ran by the Detroit Marines) and hung out there for a morning and then up to Carillon before going off for the week in a canoe for the tactical at Lake George. After the week we stopped off at Johnson Hall and Fort Niagara so a pretty F&I couple of weeks. Pics of Fort de la Buse here. It was always something we would dream of in the UK - a stockaded fort to play in - maybe our friends in the Czech republic have a similar dream - an all year round project that little by little could become something substantial.